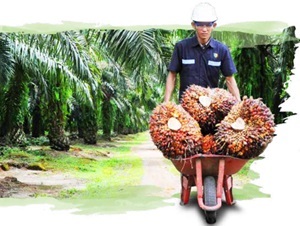 PT Perkebunan Nusantara III (Persero) - PTPN III (Persero) or PTPN Group is a well-established state-owned (BUMN) company in Indonesia that is involved in agribusiness and plantation industry. PTPN III engaged in the management, processing and marketing of agribusiness and plantation with main commodities in oil palm, rubber, sugar cane, tea, coffee, cocoa, tobacco, various woody, fruits and various other crops. PT Perkebunan Nusantara III (Persero) is the holding company for 13 state-owned agribusiness and plantation companies in Indonesia. The Company's holding head office is registered at Gedung Agro Plaza, Jl HR Rasuna Said Kav X2, No 1, Setiabudi, Jakarta Selatan, 12950. The Company's operational office is located at Jl Sei Batanghari No 2 Medan 20122. According to PT Perkebunan Nusantara III (Persero) Annual Report 2016 as cited by JobsCDC.com, the Company's total revenue in 2016 dropped by 6.97% to Rp33,897.16 billion, from Rp36,212.11 billion in 2015. PT Perkebunan Nusantara III (Persero) still recorded a total loss of Rp1,386.59 billion in 2016. Education background in SMK Engineering and D3 Engineering. Birth on 1 April 1988 to 1 April 2000. Physically and mentally healthy, drug free. Not tattooed and pierced all over the body. Copy of family card (KK). JobsCDC.com now available on android device. Download now on Google Play here. Please be aware of recruitment fraud. The entire stage of this selection process is free of charge. 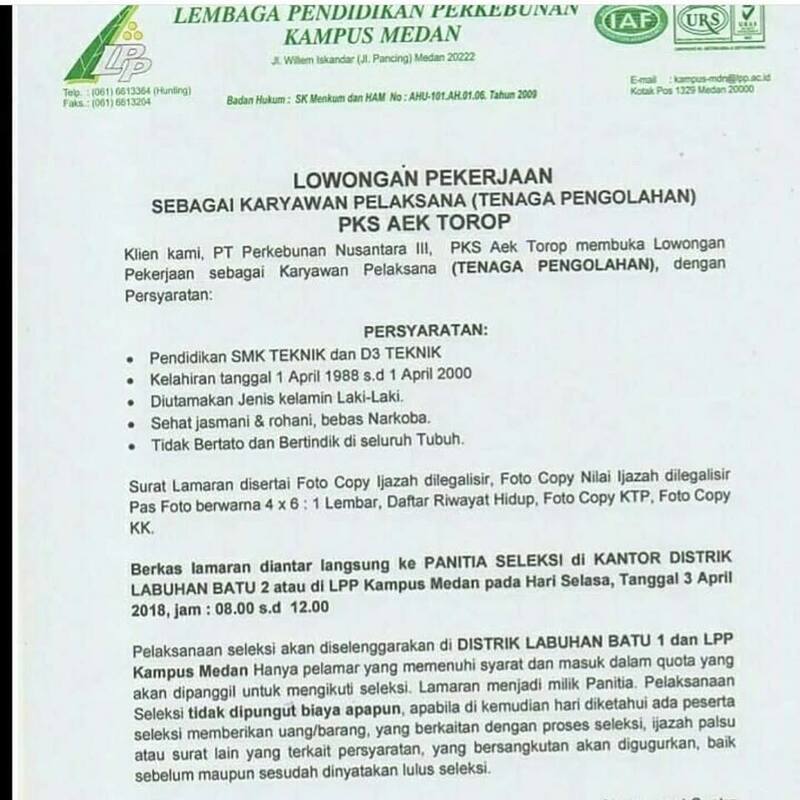 PT Perkebunan Nusantara III (Persero) - SMK, D3 Processing Staff PTPN Group April 2018 will never ask for fees or upfront payments for any purposes during the recruitment process such as transportation and accommodation.